More than two years ago, our client Rebecca Wichs lost her husband in a crane accident in downtown Manhattan. David Wichs was crossing the street when he was fatally struck by a collapsing crane. That day, despite heavy snow and winds, the City didn’t order crane operators to lower and secure their cranes. Now when the winds are above 30 mph, all crane operators in New York City are required by law to stop their operations. Last Wednesday, as winds were unusually strong, the DOB made surprise crane inspections all around the city. 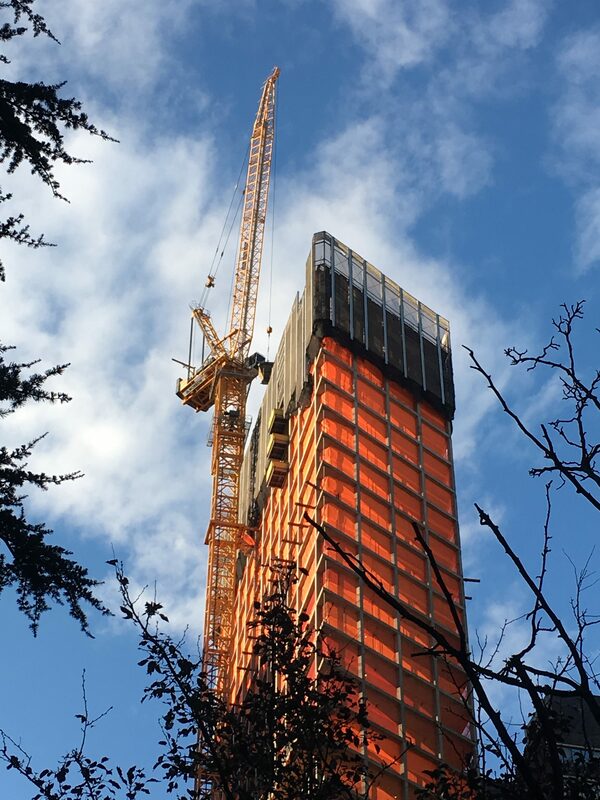 All big cranes installed in the five boroughs are now required to be equipped with an operating wind measuring device. When the device indicates that winds are above 30 mph, operators are required by law to cease all operations. If they don’t, they can face up to a $25,000 personal fine for violation. It is difficult for the only 12 DOB crane inspectors to be able to check the 300 cranes installed across New York City but when it is necessary, the DOB brings in additional inspectors from other parts of the agency. Despite the limited number of resources the DOB has increased the number of violations for unsafe crane operations over the recent years. They went from 4000 five years ago to 8000 last year. The DOB also indicates that since the 2016 accident, crane operators don’t usually take risks when the weather turns bad.